I prepared and shared this sermon at Eastern Mennonite Seminary chapel on 3/12/2015 for my preaching class. Please let me know what you think! Judas. I rarely hear people talk about him, much less preach about him. After all these years, he remains the disciple turned away from the group, no halo around his head, the eternally condemned outcast. In the film Jesus Christ Superstar, Judas is portrayed as a disciple who fears how far Jesus is going with his mission. He wants change, but he doesn’t want change the way Jesus is doing it. Overturning tables in the temple, telling off the authorities, speaking vaguely in parables, proclaiming God’s kingdom in an occupied land where Caesar was lord. He knows the consequences of Jesus’ words and ministry. He knows there is a cross involved. And he is scared. In Terrence McNally’s passion play Corpus Christi, Judas is Jesus’ (or Joshua’s) high school sweetheart. In this play, Judas is a suave, self-confident man who follows Joshua as a disciple but wants more romantically than Joshua is able to give. This jealousy leads to Judas’ betrayal, which causes him great remorse in the end. In both portrayals, Judas wants something that Jesus won’t grant him. Jesus refuses to conform to Judas’ standards, and as a result, Judas takes matters into his own hands. But what does the biblical text say about Judas? It says he was a disciple of Jesus, a man who literally walked, ate, and preached with Jesus and the 11 other disciples. As a disciple, he witnessed firsthand Jesus’ miracles and heard his teachings. Judas accepted Jesus’ good news and was willing to follow him and bring God’s kingdom to earth. He was good with money. Maybe a little too good. Whatever his intentions may have been, he wanted to give something to the poor. The text also says he repented. This part of the story tends to be ignored. And yet, he goes to the priests and begs them to make him right with God, which is what priests are supposed to do. Yet like so many other authorities, they deemed him incurable, and they turned him away. And then, Judas hangs himself because no one will help make him right with God. Even as the curtain of the temple tears in half, Judas dies because he cannot bring himself to see the opening. In his eyes, he is not forgiven or reconciled, not with himself, not with the priests, not with God. 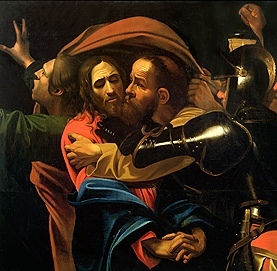 Judas followed Jesus more intimately and closely than any human alive on earth today, and he still, for whatever reason or intention, turned him in. And when he couldn’t find reconciliation, he took his own life. I understand why this is a story we are uncomfortable facing. If one of Jesus’ own disciples can betray him, what hope do we have? I believe as a result of this fear, the Church has taken Judas’ story and applied it to those outside of the Church. Instead of applying his character to faithful disciples in the Church today, the Church has imposed Judas’ nature onto those deemed enemies, those “outside” looking in. There have been many names for them: Jew, Muslim, conservative, liberal, heretic, black, indigenous, LGBT, and so forth. I see how the Church has identified “the Other” we face with Judas to scapegoat them without feeling too guilty for their actions. But we, the Church, need to talk about Judas as if he were one of us, because he was and is one of us. As the body of Christ shaped by these stories, we cannot deny Judas’ story any more than we can deny the stories of the other disciples. We cannot deny his story or condemn him, because to do so would be to deny a crucial part of our stories as disciples of Jesus today. And we cannot identify outsiders as Judas to condemn them, because then we will fail in our mission as the body of Christ for all of the “outsiders.” If we cannot see ourselves in Judas’ story, then we are lying to ourselves. To deny or condemn Judas’ story is to deny and condemn the Church, and we cannot be willing to do that. And to only identify the “Other” as Judas is to become the hypocrites about which Jesus ardently warned. We are Judas because he was a disciple of Jesus. We are Judas because he loved, listened to, and learned from Jesus. 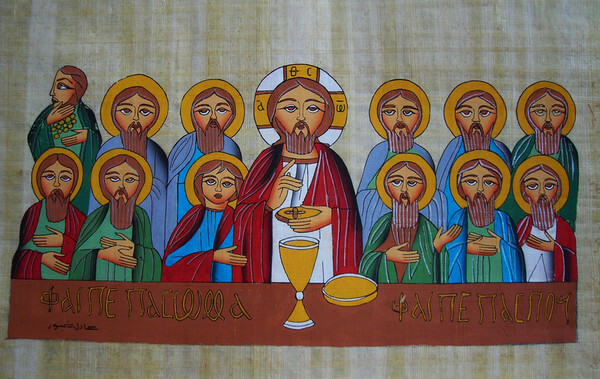 We are Judas, because he played a crucial role in bringing about the beginning of the Church. Because it was Judas’ damnable actions that resulted in the tearing of the veil that separated God from humanity. We are Judas, because we are capable of tearing veils, even when we are at our worst. We can rip seams with the best or worst of intentions. We can make tears even though we are not perfect. We can make open sanctuaries despite our own failures. Yet we are also Judas when we turn our backs on the least of these, because Jesus identified most with the marginalized, not the powerful. 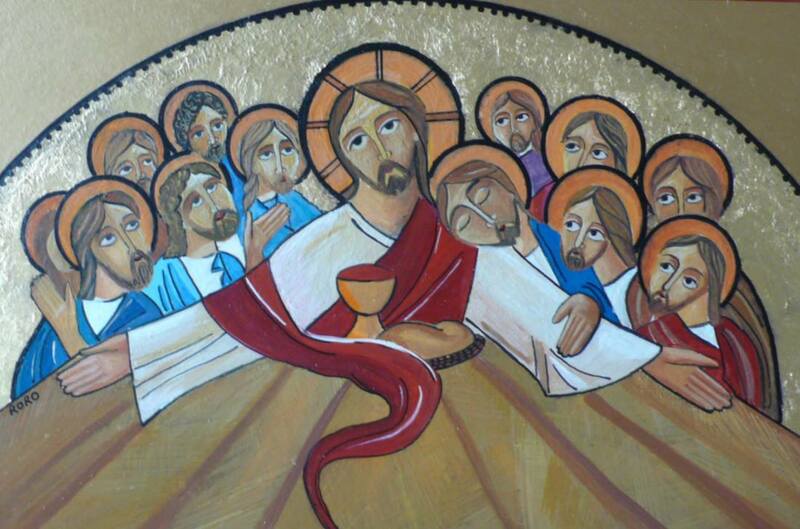 We are Judas when we turn our backs on each other, because Jesus says we are his body alive on earth. We are Judas when we refuse to forgive ourselves and hang by our own nooses of shame, bitterness, and guilt. Is there any good news in this? The good news is that Judas was a human. Maybe the most human. More like us than we’re willing to admit. And Jesus came to bring forgiveness to all humans, no matter how far we stray from the message, no matter how many times we sell Jesus out in the name of our good intentions, no matter how many times we put up walls against each other instead of bridges to each other. There is good news in the fact that Judas helped bring about the tearing of the veils that keep us separated from God. As the Church, we are called to learn from our stories, and Judas’ story has something to say to those who turn away those who seek God. Judas, as have many others, learned the hard way how a lack of forgiveness can cruelly cut a life short. We have seen how we hang ourselves from our own nooses, and we have seen others hanged by the nooses of the religious authorities who deem them incurable. We have seen people within the Church cut their lives short, because they have been taught that something about themselves, whether it’s their sexuality, their questions, their illnesses, or something else that makes them “an outsider,” are not acceptable in the Body. They went to the priests seeking reconciliation and love, and they were met with a cold shoulder and a cord of rope. I have hope in Judas’ forgiveness and Jesus’ love for him, because I have to have hope in the forgiveness and love God has given to me. I have hope that Jesus yearns for those to feel his embrace when others have said that they are untouchable. I have hope that Jesus would not have scapegoated Judas and instead would have held him like a brother as Judas let the tears fall. 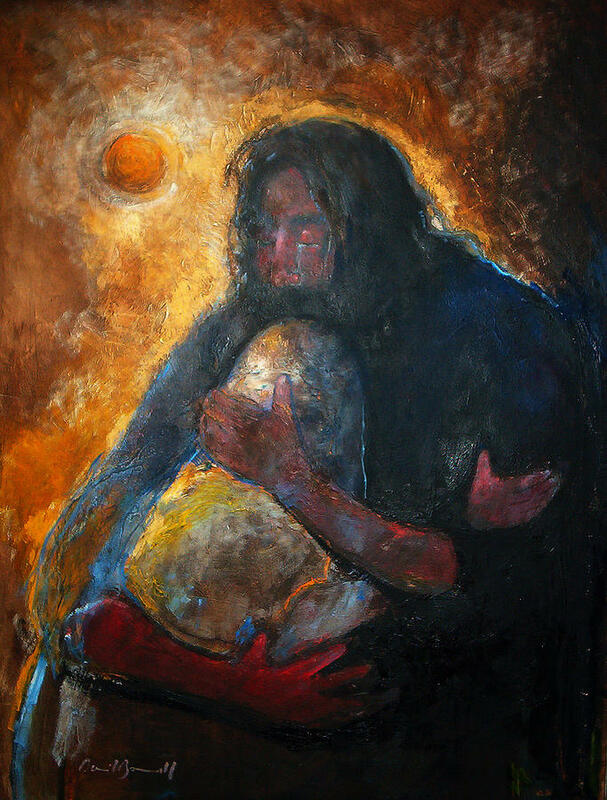 I have hope in Judas, because I have received those embraces when I felt untouchable, and I have hope in Judas, because I believe in the reality of the torn veil, even when I can’t always see it. We must accept that if one of us is unforgiven, we are all unforgiven. If one of us is an outcast, we are all outcasts. We are a united body, and what affects one of us affects all of us. What hurts one of us hurts all of us. What heals one of us heals all of us. Judas was part of the body. If he cannot be forgiven, none of us can be forgiven. But the curtain has been torn in two. There is forgiveness. For Judas. For me. For you. For the Church. For all of the times we have turned our back on Jesus because he didn’t conform to our standards. For all the times we turned our back on the least of these because they didn’t conform to the Church’s standards. For all the times we have turned our backs on each other because we didn’t conform to each others’ standards. There is forgiveness for all of us in all things and for all people. The veil is torn. There is forgiveness, and it is radically unfair. Thanks be to God. 1. Both groups have exciting, hilarious, charismatic, wise and, with all do respect, somewhat unconventional leaders. 2. Both groups are into very good books for reading. Although I still haven’t forgiven Scott Cole for making me read Blasted. 3. Both groups “perform” at theaters. 4. The quirkier you are, the better. 5. Good skills in improvisation are a must, and if you didn’t have them before, you learn to acquire them out of necessity. 6. Both do a lot of awesome things with not an abundance of resources. 8. There are lots of group activities involved, or as we liked to call them in BC Theater, Forced Family Fun. 9. Very traditional people are quite skeptical of our rather non-traditional ways. 10. Both groups are all about sharing and giving worth to peoples’ stories.